I have been having very vivid dreams, I’m sure there is a connection to the huge amounts of chemicals I have ingested over the past few months. They tend to occur just before I wake. Sometimes these dreams are relatively mundane, but I did go through a period of quite extreme nightmares; I wont talk about these here. This morning I woke to the tangy smell of sea heather and mud flats, my REM perambulations had taken me to the north Norfolk coast which I was crossing on foot in pursuit of some undefined task, but which involved transportation of the hats seen on this site. 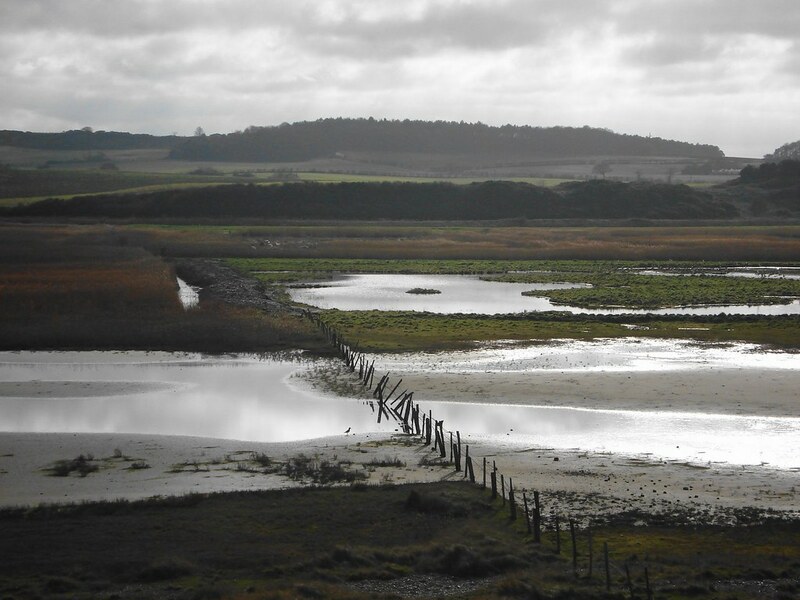 The salt marshes of north Norfolk are very dear to me, I’ve been visiting them since I was a small child, they are hugely atmospheric and as a result of glacial sculpting from the last ice age, muddy and flat. Continuously reshaped by the scouring effect of the tide this vast interstitial site is a landscape for loners, the terminally self-contained and lapsed hermits. Back to the dream; crossing a tidal creak I was surprised by a cross-country motorcyclist who side-swiped me leading me to drop my hats in the creak. I scrabbled about in the thick mud and cold seawater, my precious cargo was ruined, the hats disintegrated in my hands. I woke. On Monday I return to hospital for my stem cell transplant. Journeys and interstitial sites.